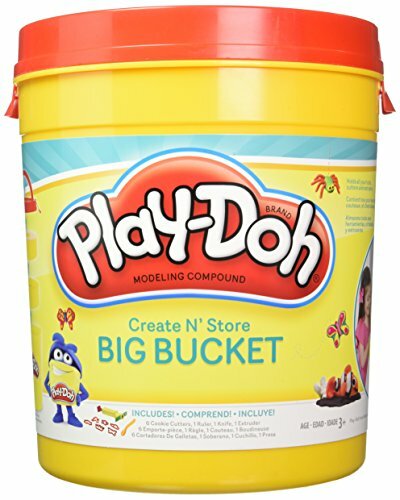 The Play Doh Big Bucket is the ultimate toy for any Play Doh fan. 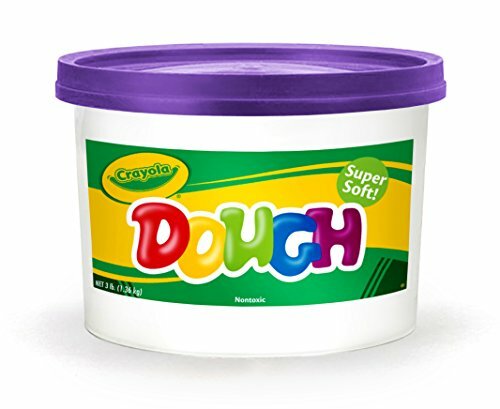 This giant tub contains plenty of storage space for Play Doh cans and tools. Includes 2 storage caddys with half molds on the bottom to create fun shapes. Includes 6 Cookie Cutters, 1 Extruder, 1 Knife and 1 Ruler. Locking lid and handle make for super easy travel. 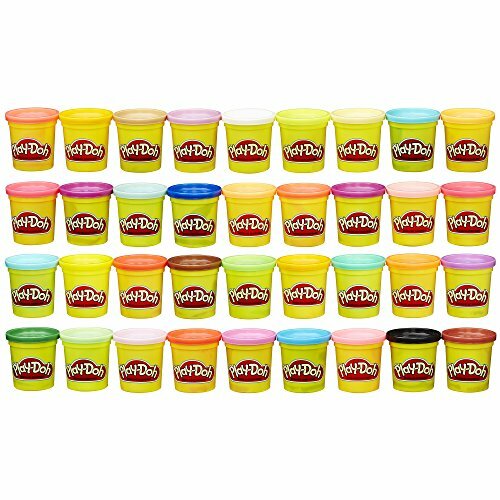 Kids can have fun exploring numbers, shapes, animals, patterns, and other themes in an open-ended Play-Doh way! 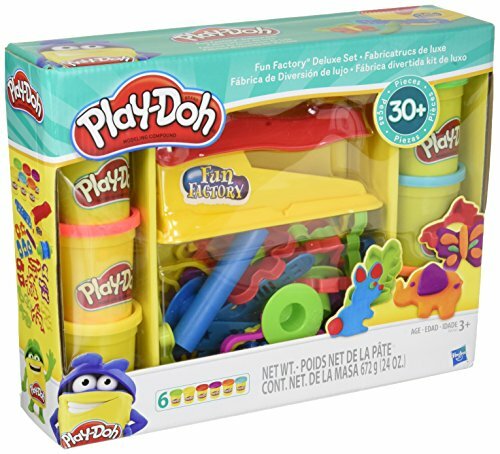 With 10 cans of Play-Doh compound and 50 tools, there's plenty of colorful fun to go around. Encourage open-ended discovery again and again with the 3 themed playmats and lots of stampers, cutters, and other easy-to-use accessories. 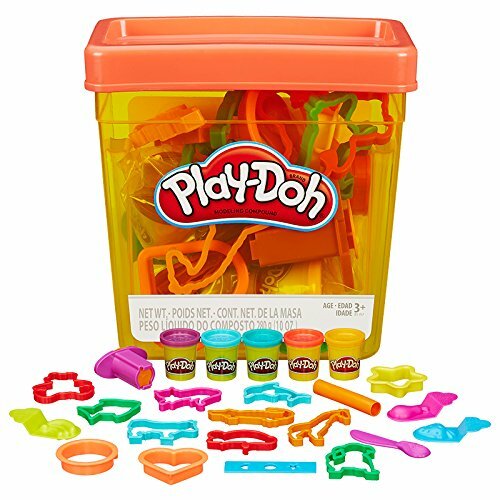 The classic Fun Factory tool is always a favorite for making squiggly, wiggly Play-Doh spaghetti and silly snakes. 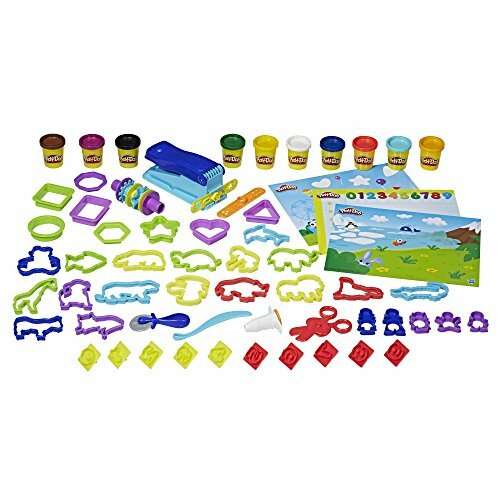 Preschoolers can use this set to share, explore, and express themselves again and again. It's like a preschool playroom in a box! 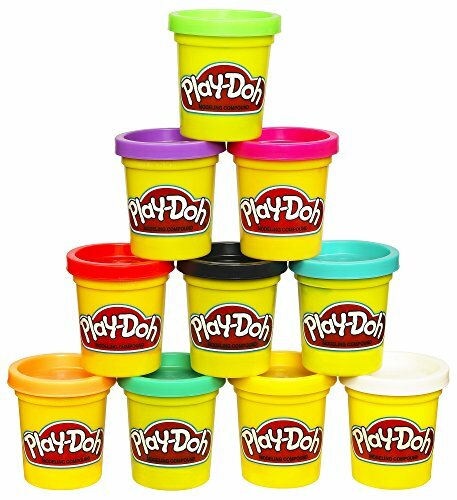 Hasbro, Play-Doh and all related terms are trademarks of Hasbro. 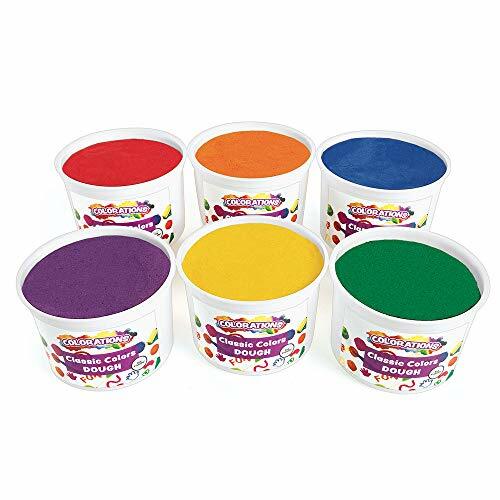 Get top quality and value in one great classroom dough with coloration best value dough. It's easy to shape - soft and pliable for little hands. Vibrant classic colors for any creative project: Blue, green, orange, Purple, red and yellow. Non-toxic. Quick, no-fuss cleanup - won't stain! comes in convenient, 3-lb. Resealable plastic tubs that simplify storage and keep dough fresh. Colorations classic colors best value dough does not contain the following common allergens: does not contain latex, does not contain dairy & casein, does not contain egg, does not contain peanut & tree nut. - discount school supply item # BVRD.